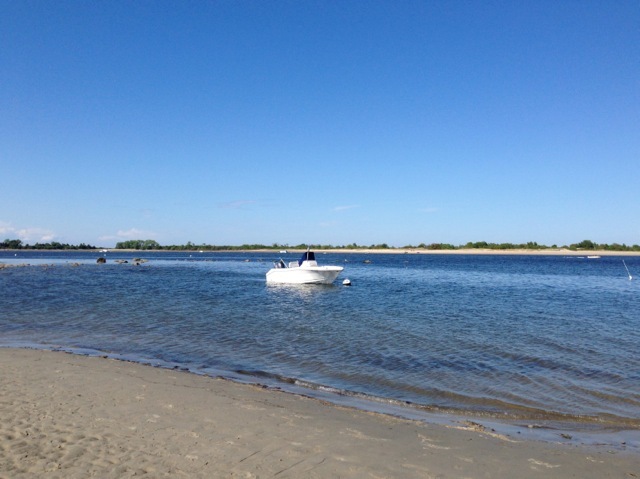 Seabirds scream overhead before diving into Pavilion Beach’s gentle waves. Tide pools reflect the sky. Surrounding sand is cold and muddy, squashing between my toes. A salty wind scrubs my skin raw. The Ipswich beach is not crowded, but on one side, a sausage dog sniffs my feet and looks askance. On the other side, college students discuss over-drinking and under-studying, their laughter louder than the waves. Across the Sound, Plum Island’s sands gleam whiter than wishes. I daydream about solitude over there: just my family, the seabirds and the sunshine, sea winds blowing my cares away. I look down at the ripples left by the tides. Overlaid are footprints of people who arrived, gazed at the same sights as me, and then departed. They left these traces of life behind: bare feet, shod feet, children’s feet, bird feet. 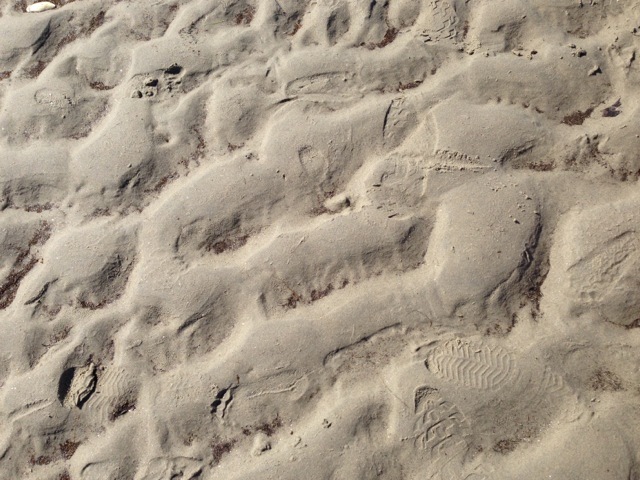 I add my footprints to the chaos left by other beach lovers. I am part of a greater whole, separate, yet no different. That was really wonderful Brenda, transported me there perfectly, and made me feel that sand between my toes!! 😀 I’m looking forward to the really warm weather so I can get to the beach myself, it’s not too cheerful in spring, that sea air is very sharp, and the ocean is part of the north sea – very cold, but perfect place to be on a hot day! I have an Ipswich near to where I live, but there’s no beach. There are quite a lot of Norfolk and Suffolk place names in the US – fascinating! How curious that the beaches are white across the water. I expect the cold and the water increased the need for an urgent toilet stop! So cool to recognize the importance of all the foot prints. The beach is a beautiful and mysterious place! You have some fabulous beaches in FL. I always feel like the salt air improves my breathing. Do you find the same? Thanks! It was a peaceful 20 minutes before my daughter had to go to the bathroom, and that was it, rushing back to a restroom. LOL Life with kids. AAww. I can’t wait to be a mother one day. What an amazing peaceful place to be. Ty for sharing it. It was cold but beautiful! AnElephant loves beaches and loves this atmospheric depiction. Yes, but you are always a sweetheart!